In order to let your website and WordPress work properly, you need a server that supports at least the 5.2.4 version of PHP and MySQL database (at least 5.0.15 version). Every service package offered by Internetum meets these requirements. Create a new account on https://www.internetum.com/ . After placing an order and proceeding payment, go to your server dashboard (cPanel) that will let you perform a seamless and automatic installation of WordPress. At the bottom of the cPanel you will find a section related to a software installation on your website. You will immediately notice that it allows you much more than just installing WordPress. Go to the next step by clicking on „View more”. 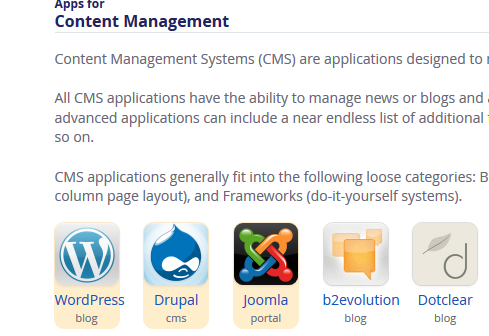 Find WordPress among the Applications for Content Management System. Find „Install This Application” on the next page. Notice that your hosting makes sure that you are installing the latest and secure version of WordPress. Go to the next page and start the WordPress configuration process. In this section you can configure a domain and a directory where your blog will be available. The domain is already connected to your account, but of course you can change it. 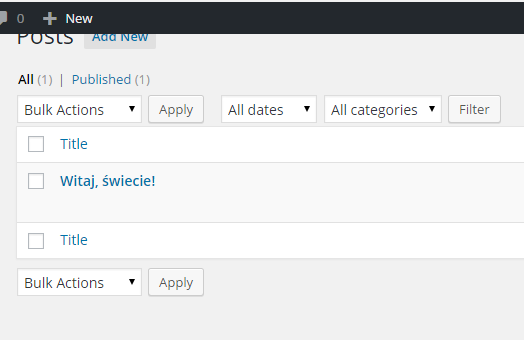 The URL path allows you to separate your blog from other services, for example if you want to set a forum on your homepage, and a WordPress-based blog on test.com/blog page. Configure the URL path as „blog/”. In most of the cases you do not need to change anything here. In this section you should define the WordPress version you want to install and automatic update settings. Obviously you should choose the latest version – it is recommended because of updated security level and performance. By choosing a language, you decide what language your blog should be in. In order to start the installation process, you must confirm that you know and agree with the WordPress terms and conditions. 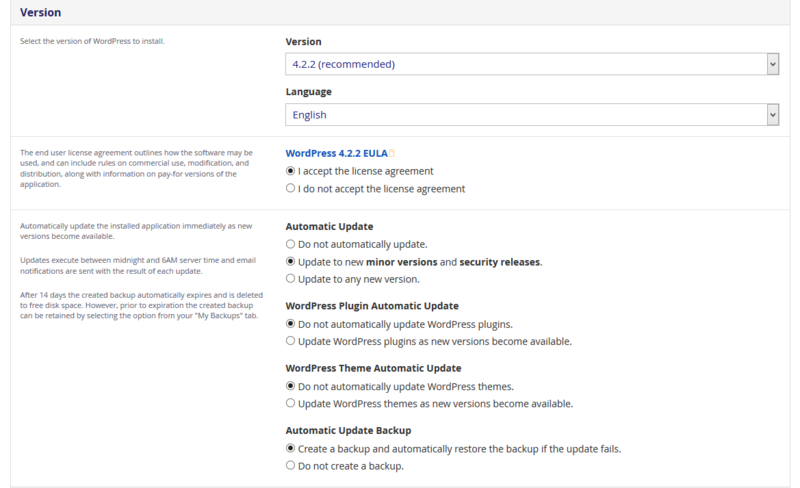 We recommend you that you additionally select „Create a backup of WordPress and update plugins when new versions appear” in the section of automatic updates. Other settings should be left as they are. Automatic updates are very useful as they make it easier to protect your blog against all kinds of intrusions. If something goes wrong, Internetum will do everything to let you easily restore your backups. 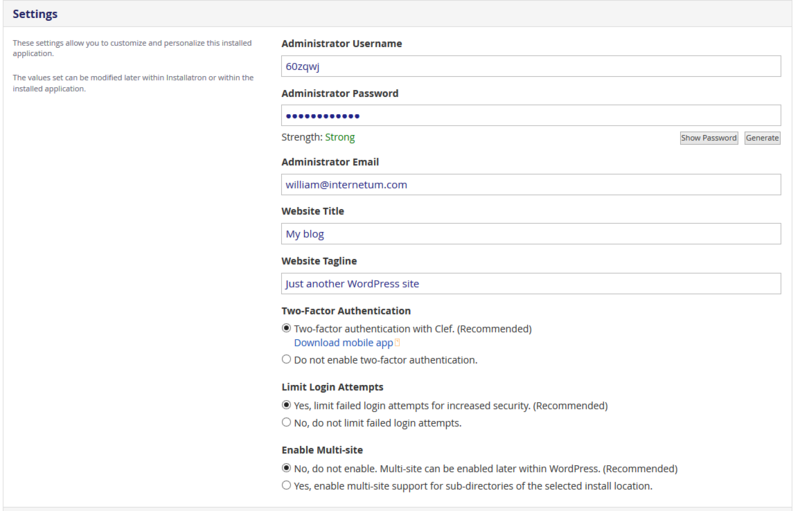 The setting section allows you to define things related to an administrator account and the most important blog settings. At the beginning, you need to define your admin user name and password. Remember that your password should be long enough and consist from capital/small letters, special characters, and numbers, so you can be sure that nobody will guess it and log into your admin account. If you do not want to define a password and login yourself, you can use the data generated by Installator. They meet the strict requirements what makes them difficult to guess. “Website Tittle” is a Title that will be visible in a browser tab and the header of your blog. „Web Motto” is an additional sentence that should describe your blog, so it can be easy to understand what it is about. „Two-Factor Authentication” is a two-stage login process. We do not recommend changing these settings. Limited login attempts? Same as above, they protect your blog against password guessing attacks and mass login attempts. Switch on Multi-site? Use this option if you want to connect your blogs to many domains. In this category you can manage all options for more advanced users. We do not recommend changing those settings. A longer description will be available in the next tutorials. When the configuration process is completed, you can install WordPress. 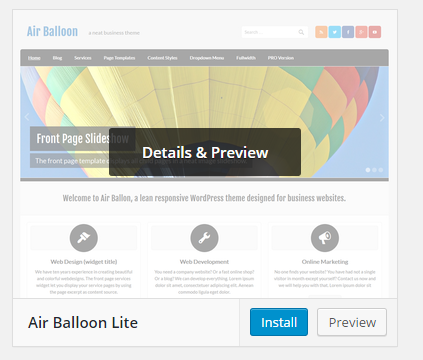 When the installation is complete, you can continue setting up WordPress. When you click on the link given above, you will be asked to log in to your account that you have defined in the previous section. After logging in, you will see your admin dashboard. 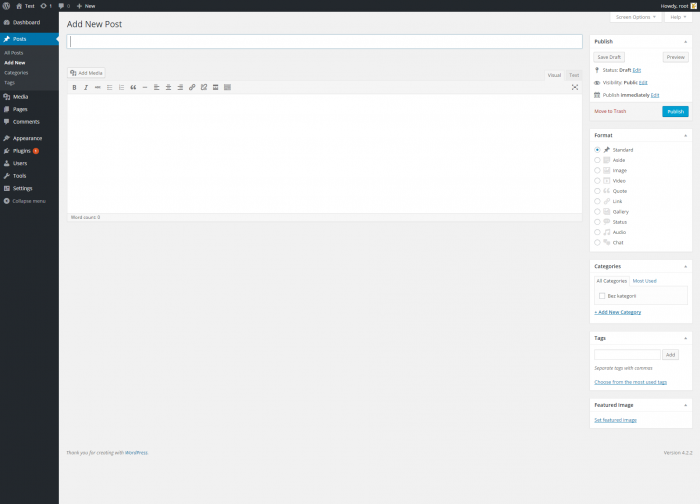 The dashboard lets you to manage your website: entries, users, plugins, page styles, etc. Here you can easily decide what your website, comments, used widget, and posts should look like. Everything can be done within a few mouse clicks thanks to the drag&drop option. Of course, all those settings can be changed later. Go to the „Posts” section and click on “Add New”. This will be probably the dashboard section that you will visit the most frequently. 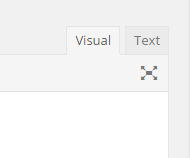 The “Visual” mode allows you to see the entire formatted text, for example with coloured text or different fonts. The “Text” mode shows the full code used in the post and it is not interpreted by your browser. It means that you can see what the html and bbcode look like. This is an option for more advanced users. 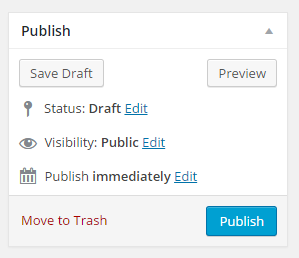 In this window you can publish, schedule, save as draft (for further editing), or preview your post with changes before and after publishing. You should save your post drafts from time to time while working on the content as you do not want to lose it due to unforeseen circumstances. Here you can define your post type, taking into account the content you want to present. 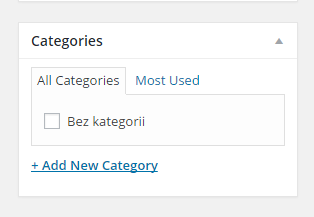 Choose or add your post category. If you want, you also can leave your post without any category. 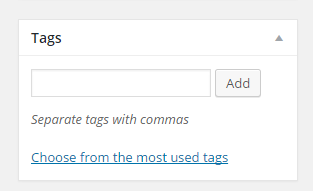 Here you can set the most accurate tags for your post. Tags are a very important part of your blog as Google reads them. Well-chosen tags will let more users find your website. When your post is ready, publish it. It will automatically appear on your homepage. 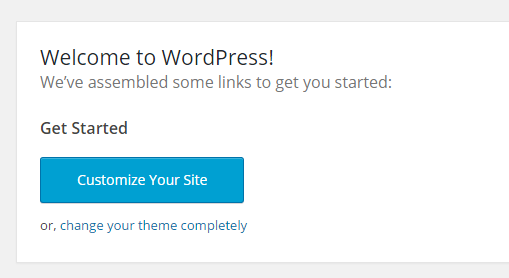 Thanks to the built-in mechanism for automatic installation, adding and choosing a WordPress theme cannot be easier. Go to “Appearance” -> “Themes” where you can find currently installed themes and an option that allows you to add a new theme. 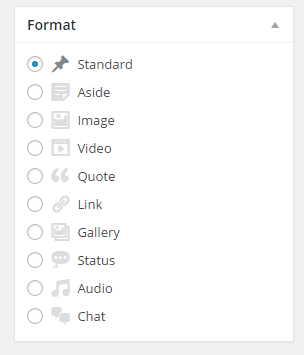 Click on „Add a new theme” and go to the page where you can browse different templates available in the official WordPress repository. When you find a theme that meets your needs, install it by clicking on „Install”. The theme will be automatically installed. 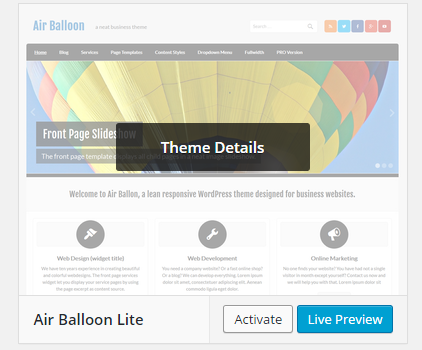 Once the installation is complete, you can set it as a new website theme. 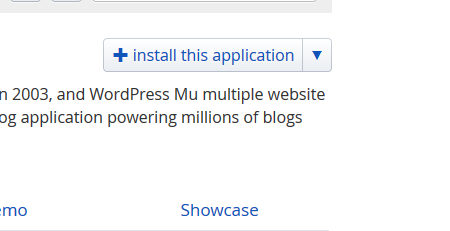 WordPress is an extremely flexible platform. It offers many opportunities – for example, plugins. Many of them can be found here: https://wordpress.org/plugins/ or in the „Plugins” -> “Add New” tab. In order to avoid difficulties, you should search for plugins that are fully compatible with the version of your WordPress. If you face any problems with WordPress, you can always contact the Internetum support team by visiting the CONTACT page. We invite you to follow us and get familiar with our further parts of the guide where we will be describing more advanced mechanisms of WordPress.